JUST REDUCED!Hidden Treasure! A very personal sense of style in this Awesome Contemporary. The very large kitchen comes with bamboo wood cabinetry, subzero refrigerator/freezer, spacious island and a sitting-tv- room. Soaring open spaces show that efficiency can be beautiful. Formal living room has a soaring ceiling while the more casual living room gives the beautiful vistas of being in the country, overlooking the grounds, the pool and the fabulous patio. Evening Entertaining on the beautiful patio is so special with the great outside lighting. 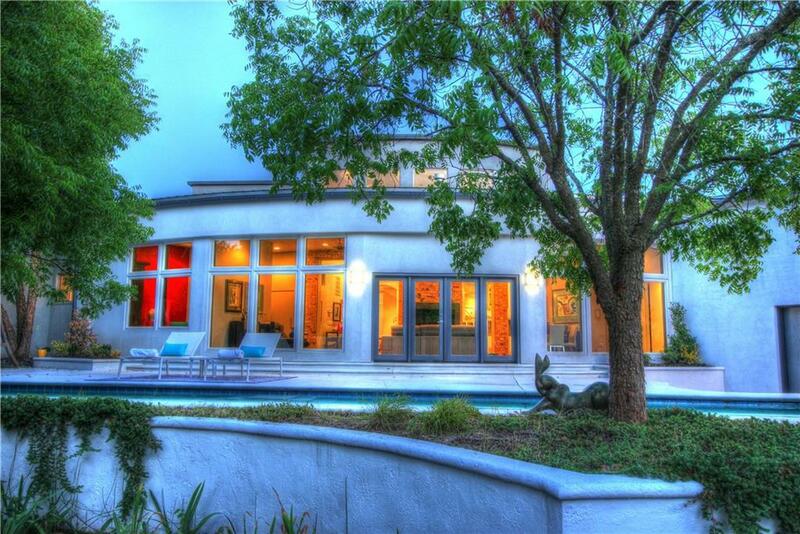 Modern colors boasts throughout the home plus adjoining 3.791 acres are available . Contemporary- Modern homes are difficult to find! So don't miss this one!Before you buy anything, come see this one. AMAZING NEW PRICE AT $585000.00. CALL TODAY TO SEE THIS BEAUTIFUL HOME THAT HAS THE BEST OF EVERYTHING LIKE A SAFE ROOM, SUB ZERO, MORE PLUS MORE STORAGE, LAP POOL, BEAUTIFUL GROUNDS, HIS AND HERS BATHROOMS AND CLOSETS, GUEST HOUSE.